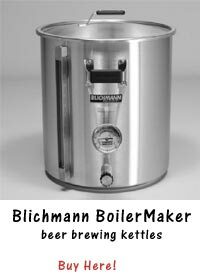 All-in-one beer machines have something of a bad rap when it comes to the world of homebrewing. They’re known for sacrificing quality for the sake of convenience and producing a lower quality beer that simply doesn’t measure up to the exacting standards most experienced homebrewers have in regards to their beer. For that reason, they were once considered a product that was only suitable for beginners who were just learning the ropes. However, all that’s changed now that the Beer Machine 2006 Beer Brewmaster is on the scene. 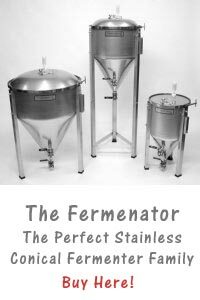 The engineers at Beer Machine understand that today’s home beermaker is looking for a lot more than just a cheap, easy way to brew large quantities of beer. They’re also connoisseurs who want to come out of the brewing process with a delicious product that they can not only enjoy themselves, but serve their friends with pride. That’s exactly why the Beer Brewmaster is making waves. Not only does the Beer Machine Brewmaster come complete with everything you need to brew your very first batch of premium homebrew, but it offers home beermakers the very best of both worlds from the start. Beermaking literally becomes as easy as brewing a cup of coffee, yet you wind up with a full-bodied, flavorful beer that’s every bit as good as the beers you enjoy at your local pub or restaurant. How can you beat that? When Beer Machine says their Beer Brewmaster comes with everything you need to make your first batch of beer, they sincerely mean it. You not only get the all-in-one fermentation vessel that doubles as a handy dispenser, but you also get airtight valves, user friendly gauges to help you monitor your beer, and leak proof tubing. Your Beer Brewmaster even comes with your first batch of beer mix and your first set of bottles as well, so you’re ready to go the minute you open the box. How can you beat that?